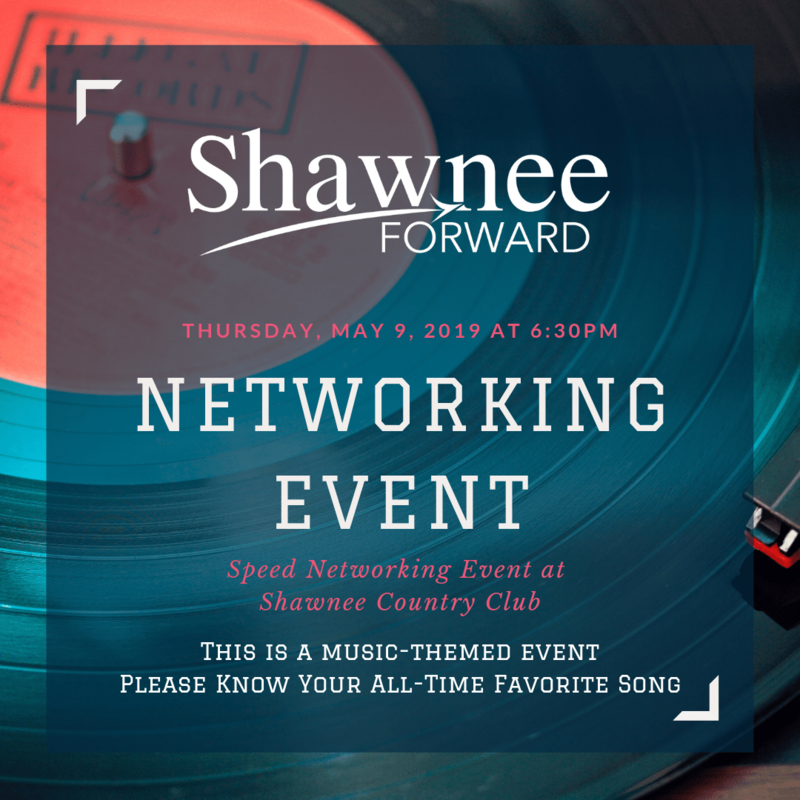 Join us for a speed networking event at Shawnee Country Club at 6:30pm on May 9, 2019 and meet with other professionals from Shawnee Forward. Use the form below to RSVP for this event. We will cap registration for this event at 100 participants. You will need to know your favorite song for this event, make sure to pack your pockets with business cards, and practice your 30-second elevator pitch. Contact Marketing and Events Director Jeremy Davidson with any questions or more detail at jdavidson@shawneeforward.com or by calling (405) 273-6092.